In my last blog I complained about not finding any trails with a vertical challenge. I actually like going up hill. On occasion, if we can find the right deserted road we will abandon the canal paths and head up hill. But the road has to be deserted. 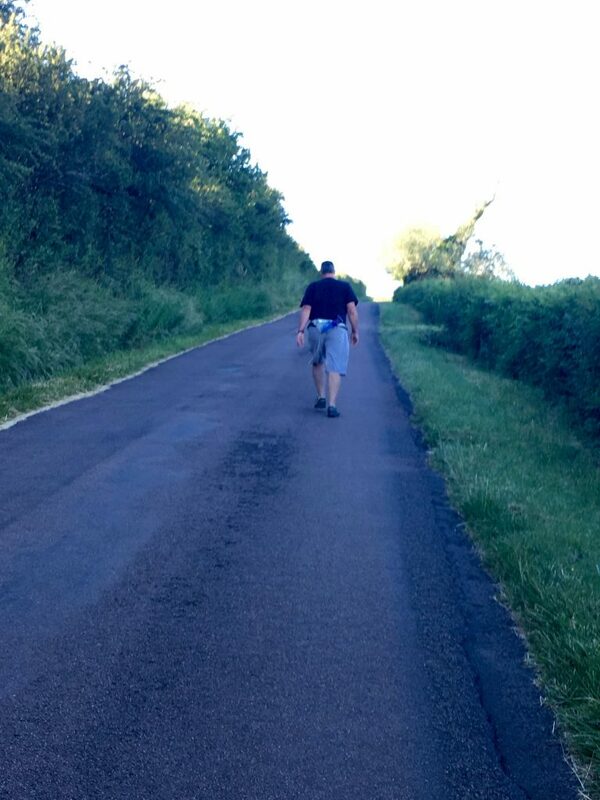 There’s nothing worse than walking along a busy French country road. They don’t have sidewalks, gravel paths, or even mow the grass, so you have to walk on the road, and that’s miserable. 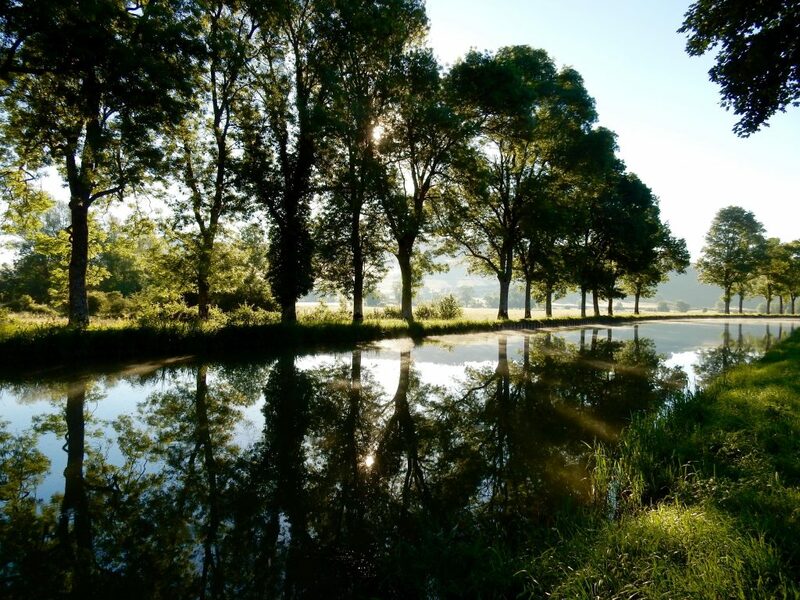 At Vandenesse, our last stop on the Burgundy Canal, there is the perfect road for us to walk on. It starts just a short half-mile walk down the canal from where we moor. It has 800 feet of vertical gain, hardly any traffic, and during the season we can pick blackberries along the side of the road. Best of all at the top of the hill is the village of Chateauneuf. The crowning glory of Chateauneuf is the chateau that the village is named after. 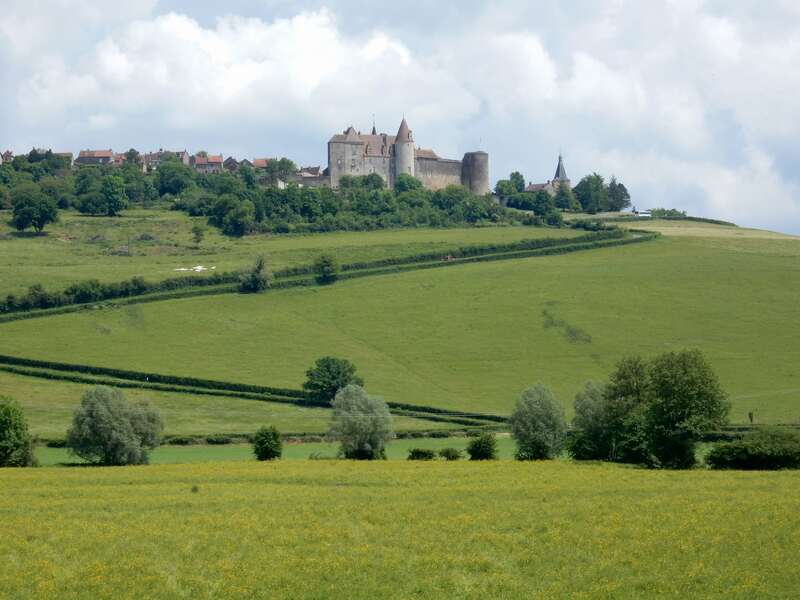 It sits on a small promontory looking out over the Ouche Valley and the Burgundy Canal. The chateau is picture perfect, as if the imaginers at Disney designed it. No doubt there’s a beautiful princess living in one of the towers waiting to be rescued. When we walk up to Chateauneuf we try to time it so that we can have lunch at one of the restaurants there. Lisa and I will order savory crepes, share a salad and of course get two beers, and then finish off the meal sharing a sweet crepe. Now that’s the kind of exercise I like! Walking up the road to Chateauneuf. A beautiful morning to walk along the canal. 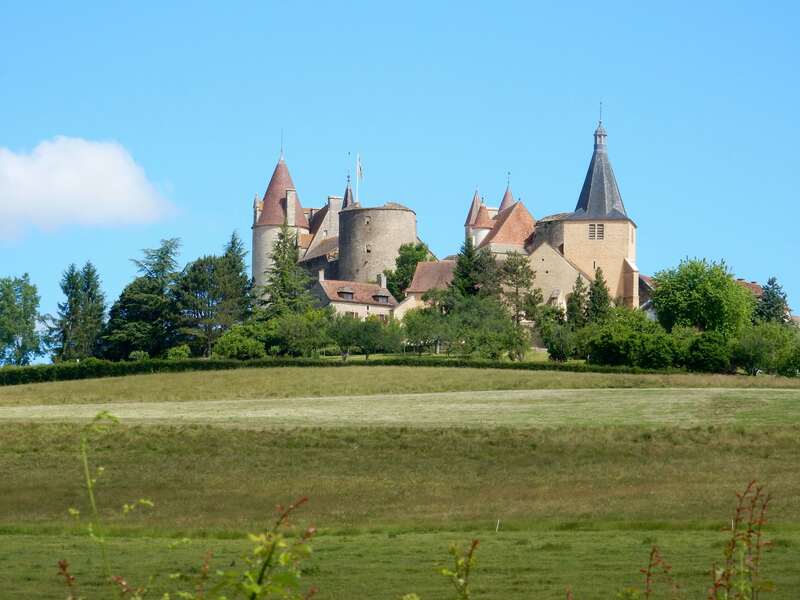 Chateauneuf – Can you see the princess? Our last trip to Chateauneuf was on a Sunday morning. All the restaurants were closed. It was also Election Day. Unlike in the United States in France, like virtually every other developed nation, they vote on the weekend or Election Day is a holiday. What a novel idea. The village was pretty much closed up, but we did find one enterprising artist that had opened his gallery. Lisa can’t stand to pass up an open art gallery, so we went in. She also likes to support local artists. An hour later we walked out with two paintings. At the end of the day there was one very happy artist, a happy wife, and that made for a happy husband. To put it in the terms of our French friends we were all very “Apply.” In case you were wondering the French don’t pronounce their H’s. 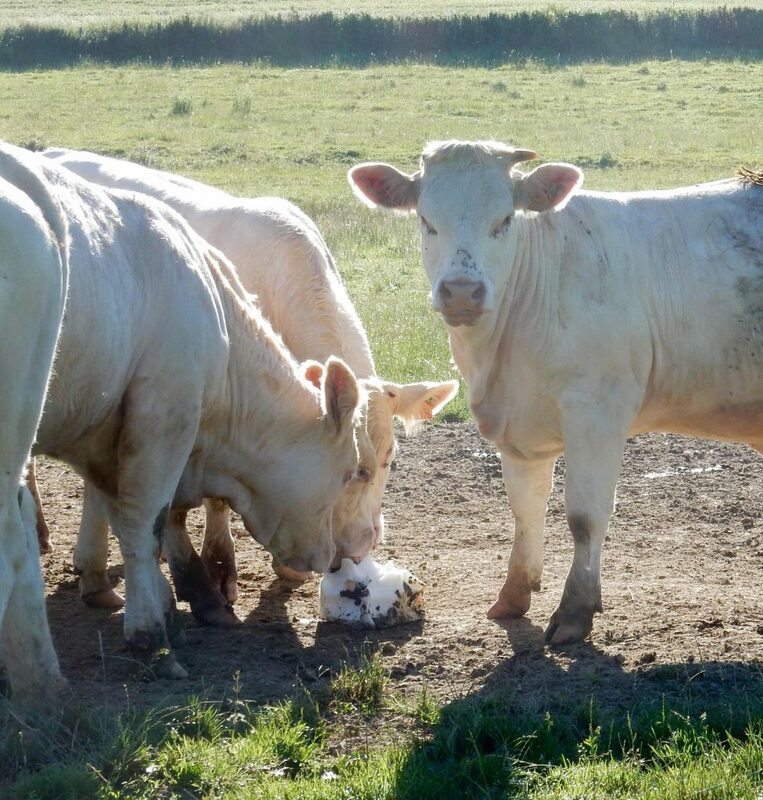 Some cows and their salt lick on the way to Chateauneuf. 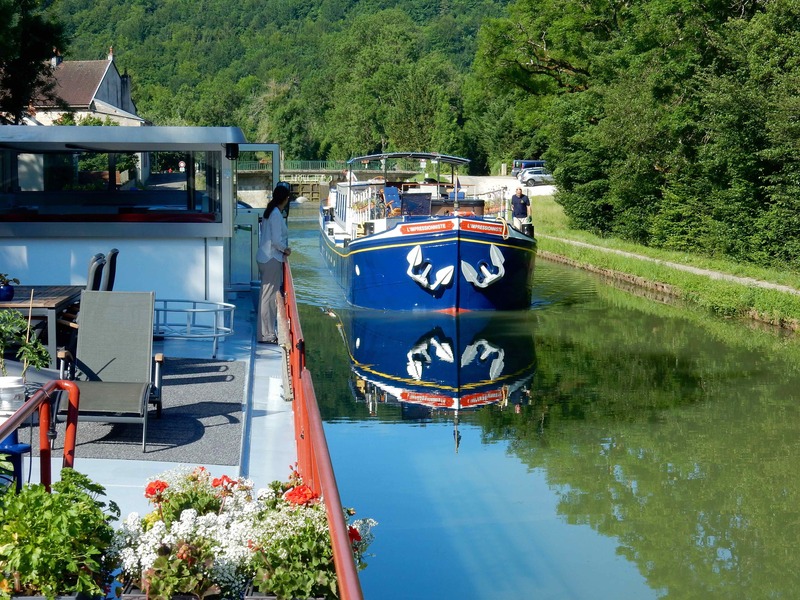 The Burgundy Canal summit pond and tunnel are eight locks further up the canal from Vandenesse. 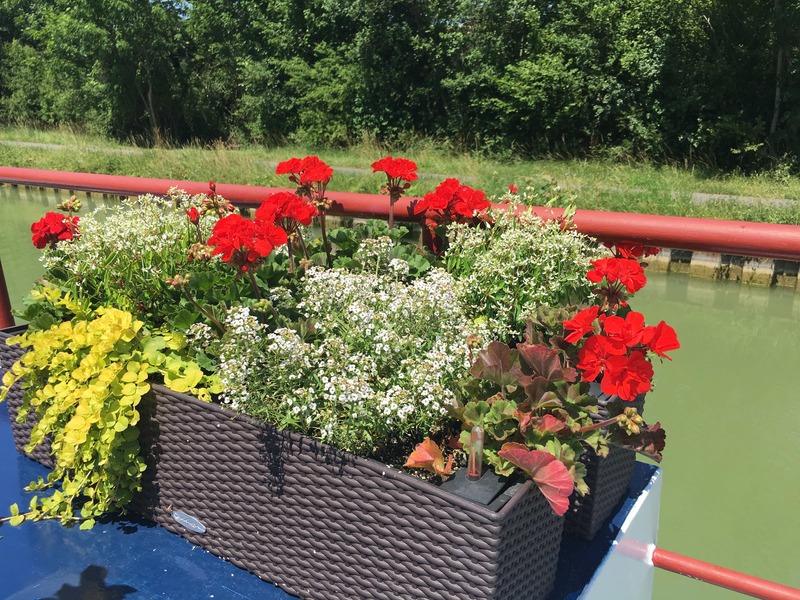 From Saint Jean de Losne (SJDL) to Vandenesse we passed through seventy locks. That means we’ll go through another seventy locks to get back to SJDL. When we go up in the locks the bowman, Philippe does all the work. He has to adjust the bow line. When we lock downI do the heavy lifting, as the stern line has to be adjusted. Rabelo is slightly oversized for these locks both in length and width. Her size makes it harder to enter the locks, and once we’re in the locks we don’t have much room to go forward or aft while the lock is operating. If we move forward more than a foot or so we can do a lot of damage to either the lock gates or Rabelo. We typically have around two inches on each side of Rabelo when we enter a lock. It would be like having a car that was 130 feet long, and only two inches on either side of the garage to maneuver. Then you throw in the wind and currents, and you get the idea. Oh yes, and the car weighs over 200 tons, and has lousy breaks. 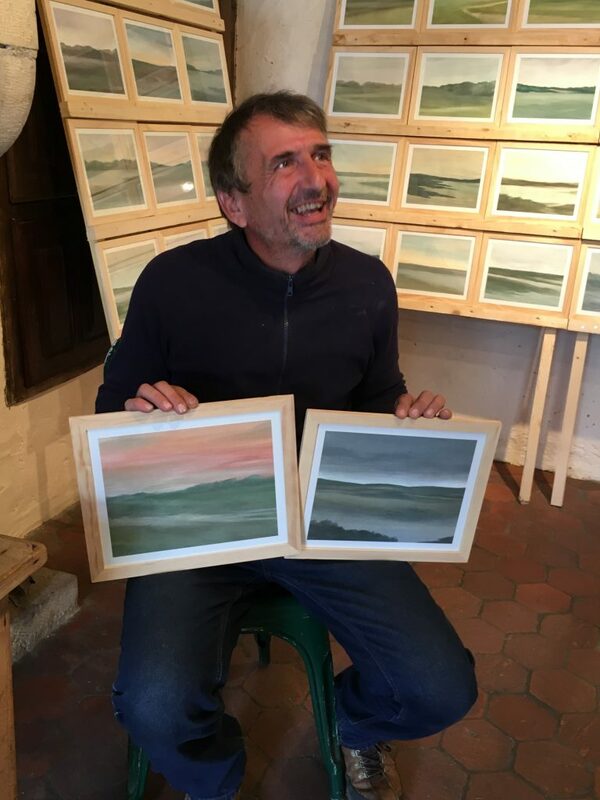 Our old captain Julian is now driving the L’Impressioniste. We waved as he passed us. 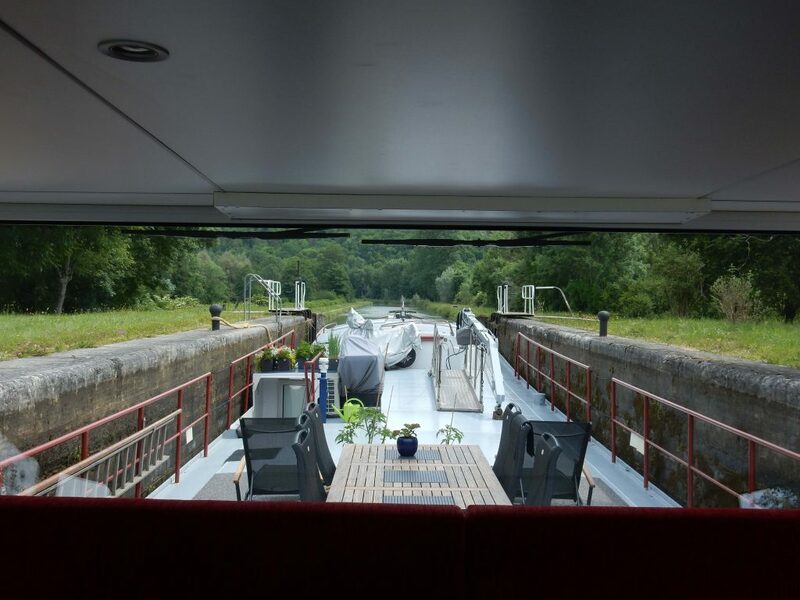 My view from the pilothouse as we exit a lock. 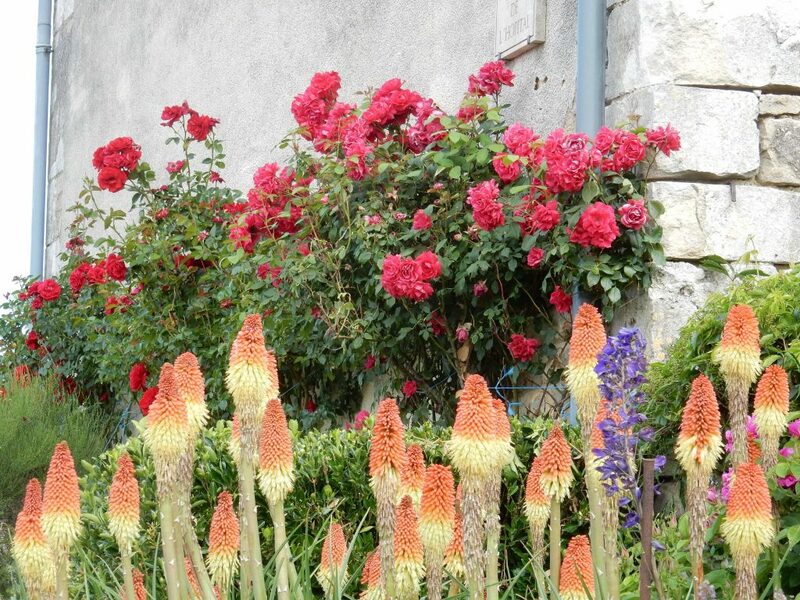 Plenty of flowers in Chateauneuf!